As a part of the Kenton City Schools’ mission to Inspire All to Inquire, Dream, and Excel, staff members have been submitting Inspirational stories and photos to share with each other and the community. The staff began their “Wildcat Inspiration” submissions by commending their coworker, Kevin Kapanka II for his humorous New Staff Video that was presented on Tuesday. 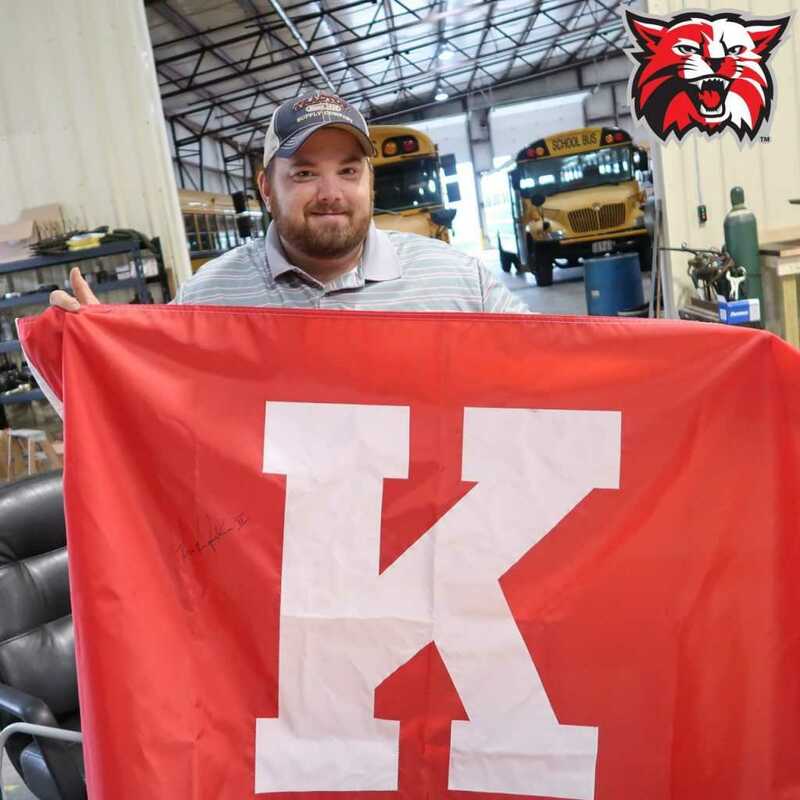 As a result, Kevin is the first employee to sign the District’s “Inspiration Flag,” and will be able to display it with pride for one week.